Despite all the problems that we face in the modern world, if there’s one thing we’re spoiled with, it’s a huge variety of television series. While Hollywood movies are becoming more and more about rebooting old franchises, television series have never been more original, and right now is the best time to start getting into new series. We’ve got Game of Thrones, Rick and Morty, and many other great series coming up within the next two years, but there are a dozen others that look just as promising, and should give us all plenty to do in our free time – when we’re not playing video games or bingo Canada. If you grew up in the 80s, you’re no doubt a fan of the Thundercats. It was an extremely popular franchise that only lasted a few years, but over the last three decades that have been some attempts to bring it back to life. The first was the 2011 reboot, and although it was met with warm reviews, it wasn’t viable commercially. The latest, set to come out in 2019, looks to change the formula completely. Expect a more adult tone, better writing, and plenty of nostalgia. Based on the original show by famed astronomer Carl Sagan, Possible Worlds is centred around perspective: mainly showing us just how tiny we are in a massive, endless universe. The show will once again be hosted by astrophysicist Neil DeGrasse Tyson, and will be diving into all the mysteries of the universe that are currently baffling scientists. DC has been working hard on bringing its most well-known comic book characters to life, and the latest comes in the form of anti-hero, Swamp Thing. Produced by James Wan, Swamp Thing is currently being directed by Mark Verheiden and Gary Dauberman, and should offer an interesting story at the very least. Another DC comic, Titans is based off of the famous teenage superhero team, Teen Titans. It’s set to be a life-action adaption, and has been in development for a number of years. DC plans on using it as a platform to launch their expanded universe, which will include more series and films in the future. This is a series aimed at those who just love Nathan Fillion and everything he does. 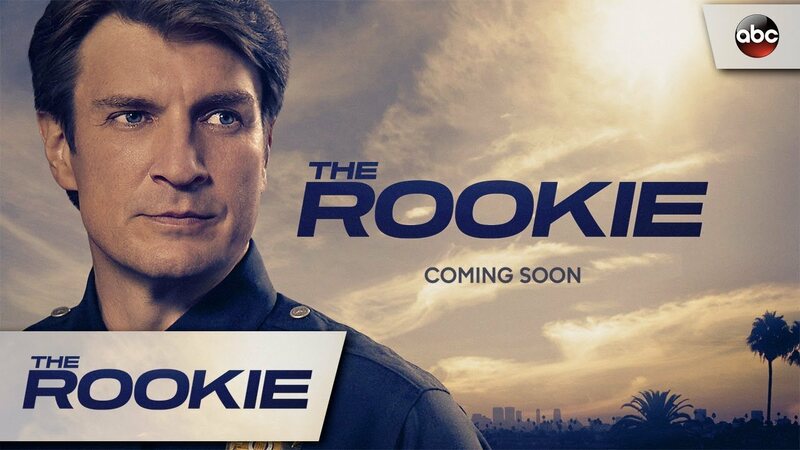 The show will be centred on Fillion playing a small-town man named John Nolan, who is stuck in the middle of a nasty divorce, and then in a foiled bank robbery. He moves over to Los Angeles, where he becomes the oldest rookie in the LAPD. It should come packed with plenty of laughs, and those who have grown to love Fillion’s mix of smooth and comical will almost definitely want to keep an eye out for this when it rolls out on to streaming sites some time in 2018.